We loved our experience here. Quiet and hip place! Super clean place. Comfortable beds. 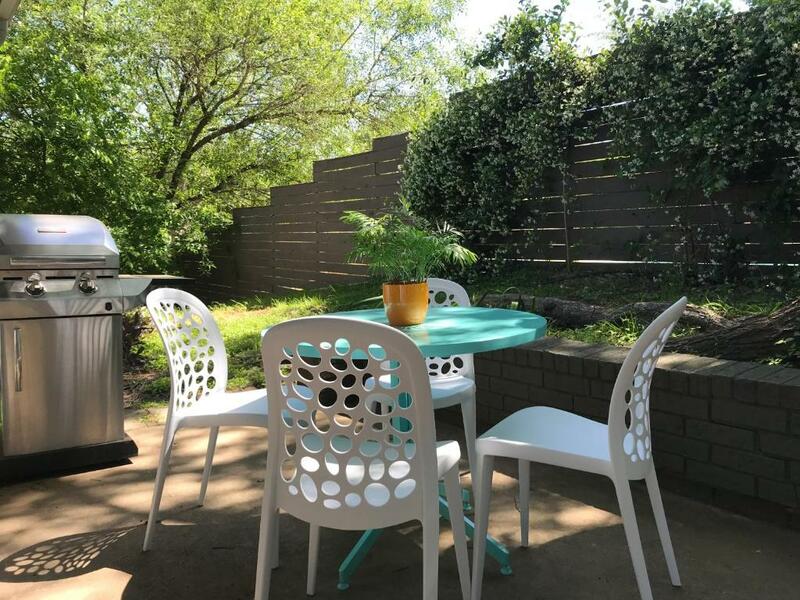 Great location close to S. Congress Street. Nice, quiet residential neighborhood but easy to get almost anywhere in Austin. Well appointed apartment with all the basics and a good kitchen if you want to cook (or just go out for tons of tacos like we did). Clean, spacious, hip. It was awesome to feel like we were staying in a home rather than hotel. It was pleasantly quiet as well. Excellent instructions provided upon arrival from parking nuances to the door lock and wi-fi. Owners/managers are very thorough. Location was really nice, close to everything we wanted to do. 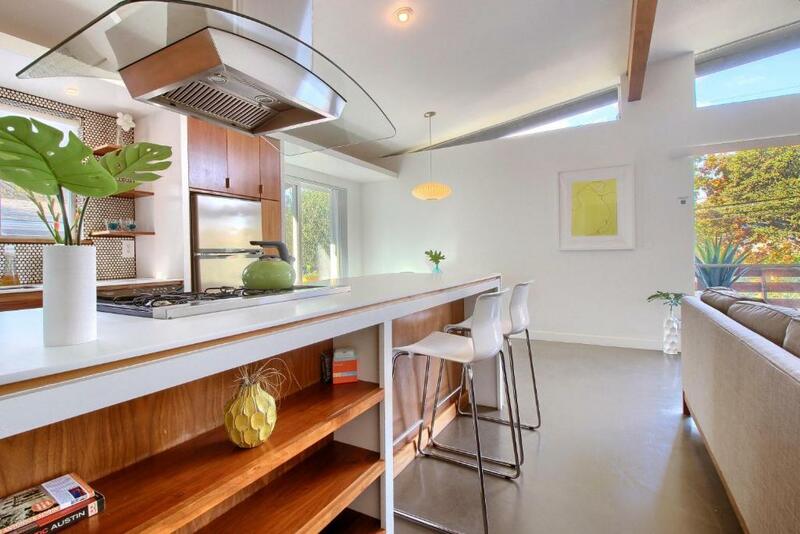 The house was modern and clean. The hosts contacted me about them coming to fix a problem I didn't even realize was a problem. Great location, close to main parks, capitol and plenty of restaurants. The apartments are easy to find, has a designated parking space and offers more room and comfort than a traditional hotel room. Upon arrival, you'll find a binder with useful info. Absolutely love the mid-mod feel! The place was super comfortable for my husband and me with our 2 family members. Such a great deal as it's in a quiet area and close to the airport. Loved our stay! We really enjoyed the detail given to our stay. Everything was provided. The welcome book was very thorough in detailing the surrounding area and what was available. 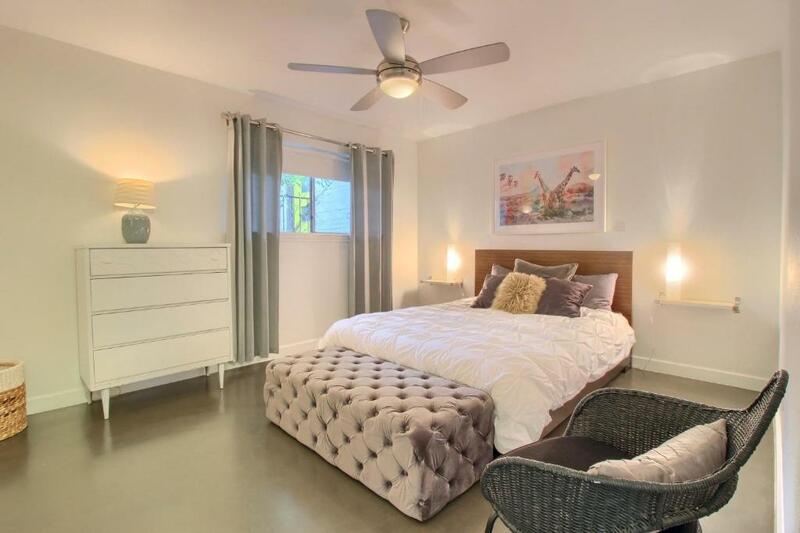 Lock in a great price for Travis Heights Modern I – rated 9.5 by recent guests! 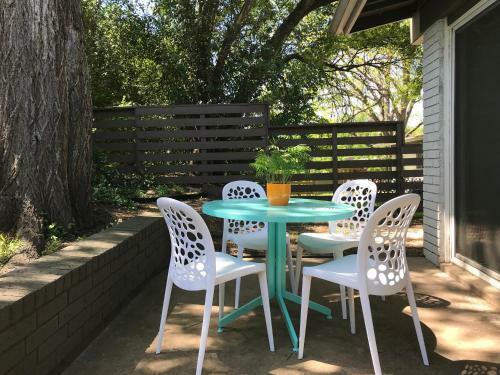 This collection of single, self-catering units are located within one half-mile of one another and less than 1 miles from Austin's lively South Congress Avenue. Each modern unit has a fully equipped kitchen and free Wi-Fi. 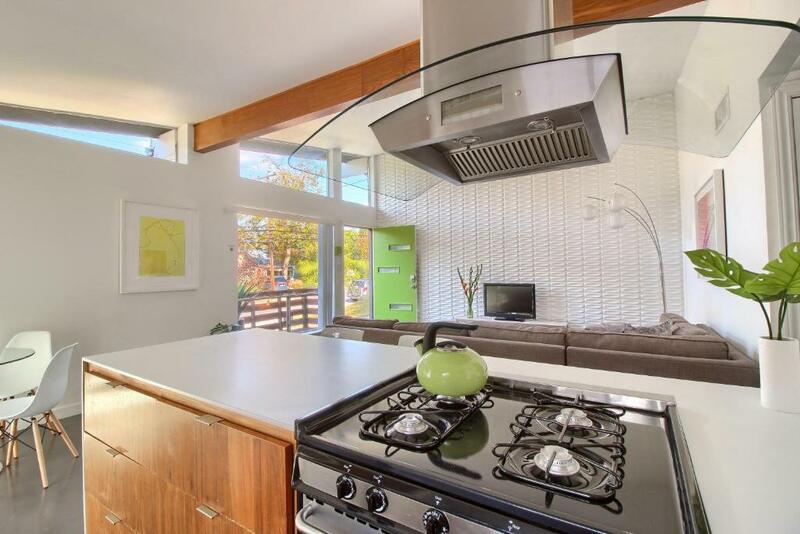 A gas oven and hood, dishwasher, disposal, coffee grinder, french press, toaster, and blender are featured in the galley style kitchen. Guests can relax and watch their favorite shows on a flat-panel TV or step out on the patio and prepare a BBQ feast. The University of Texas is a 10 minutes' drive from Travis Heights Modern I . Austin city center is 1.5 miles away. 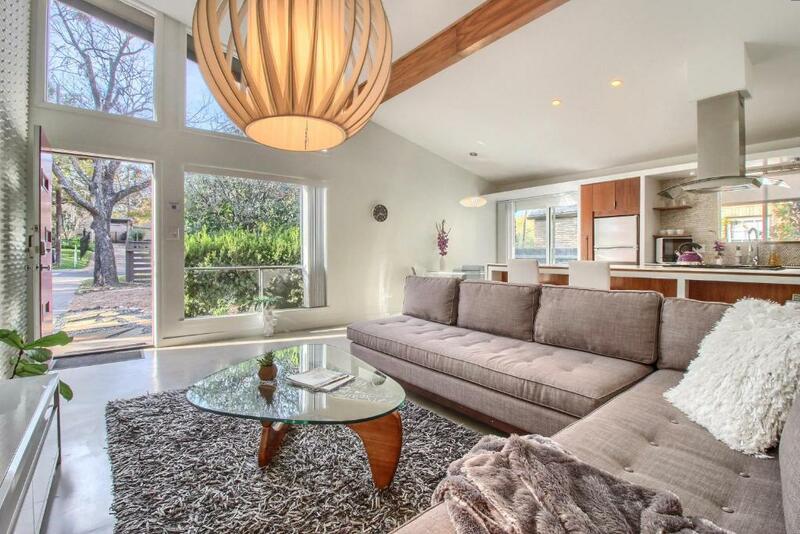 When would you like to stay at Travis Heights Modern I? This apartment features a kitchen, living areas and private laundry room. This apartment has air conditioning, patio and oven. This apartment has a dishwasher, seating area and patio. This apartment features air conditioning, dishwasher and patio. This apartment has a microwave, dishwasher and patio. This apartment has a patio, private entrance and air conditioning. This apartment features a oven, patio and dining area. 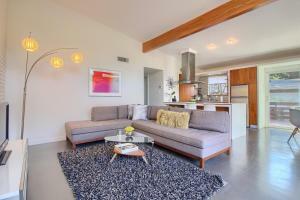 A collection of fully furnished, boutique guest homes located in vibrant South Congress (SoCo) / Travis Heights. Named Top Ten in the World by Travel Byte UK and Top Vacation Rental by TripAdvisor. Executive rentals perfect for business travel. Walking distance to fantastic cafes, restaurants, shops, parks, & music venues. Everything fun is just minutes from your door. Located in one of Austin's most desirable neighborhoods, the South Congress "SoCo" area has something for everyone. The properties are a 10 minute walk to fantastic cafes, restaurants, shops, parks, & music venues on south congress. Downtown is a 5 minute drive (less than 2 miles). House Rules Travis Heights Modern I takes special requests – add in the next step! Upon payment, the manager will directly contact guests with an address, check-in information, and keyless entry instructions. Guests are asked to please review and save the information for check-in. A security deposit of USD 200 will be authorized upon check-in. The credit card will not be charged if there are no damages upon check-out. Guests must be 25 or older to book. Please inform Travis Heights Modern I of your expected arrival time in advance. You can use the Special Requests box when booking, or contact the property directly using the contact details in your confirmation. Parking was challenging but we ended up purchasing a pass to park in hotel lot. The rooms were fantastically modern and clean. Windows not properly sealed. Allowed cold air in. Bathroom could do with revamp. Sofa and cupboard shelves dusty. The bedrooms are large enough to accommodate a king size bed, rather than a queen, which we would have enjoyed more . . . but overall, we would stay here again. We would have appreciated bedside lights in the smaller bedroom. Also, we used the couch as a third bed, but would have liked to be able to turn off the front light to make it a bit darker in there. Awesome place right by the highway, close to the city center/Rainy Street but extremely quiet neighborhood. 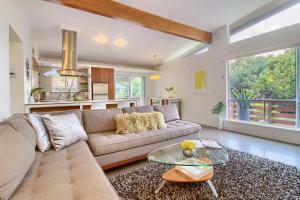 Well decorated, comfortable gathering areas and well stocked kitchen. Will definitely stay again! The one bed was super soft, like a futon. The cleaning fee is steep for one eve and with instructions to do laundry pre departure seemed a bit much. Suggest coffee and cream on counter next to maker. I didn’t manage to open the door to the laundry room. Lovely location and quick drive to the convention center. Also nice walk to South Congress for a bit of local shopping and groceries. The house was lovely and clean with good instructions for everything. Tea Bags with some milk in the fridge would have made me feel right at home! Only thing I was missing.